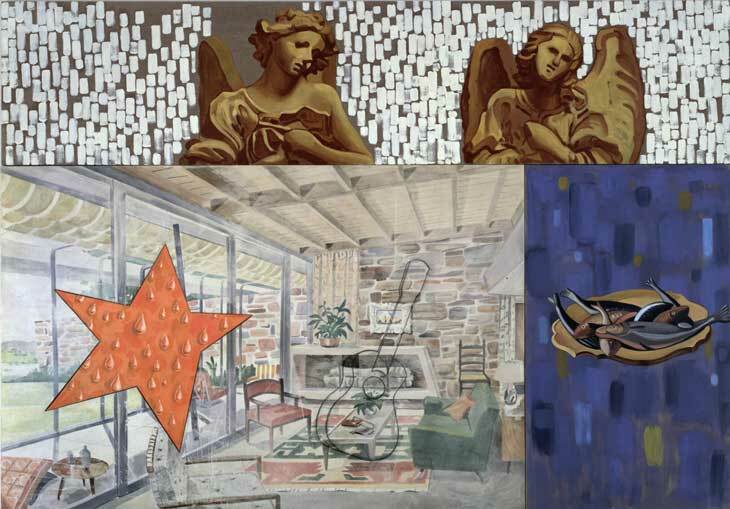 This contemporary art history course provides students an in-depth investigation of modern and postmodern arts practices emerging in the post-WWII era. We look at those established artists and movements as well as more recent and less mainstream ones addressing social and political issues. The two columns in to the left have links and information needed for the class. If the text is in blue, it is a link to a reading or website. click on it. The button links are the lectures (some are white and some are blue). Most are PDF files you can download and watch as many as you want. This is a web link to the Met Museum timeline of art 1900-now. Check it out. Download and read syllabus and course outline carefully. Syllabus contains important information about grading and the course outline has all needed information about week to week materials covered, readings and assignments due. This class is about the time period and artwork created since WWII. Art has always corresponded to cultural, social and political contexts of culture. No time has been more clearly obvious than the past 70 years. The work we are looking at may be difficult to understand. Please try to realize, all the work exists in a context. It has meaning and our job is to understand why. Essential to understand Marcel Duchamp. He changed everything. Carefully watch Lectures 1 & 2 posted to the website. Write 2 pages in which specific evidence of having viewed the lectures (especially lecture 2) and weblink is evident. Use examples to make points about modernism and DaDa. 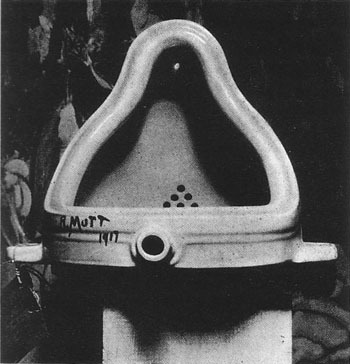 Include a definition of Modernism, DaDa, Marcel Duchamp. Use information provided. No dictionary. No Wiki sites. Write in your own words. No quotes and no copying. ​Grading Rubric for Assignment 1. See if this helps you understand the points I'll be evaluating. ​Saturday, September 8 by noon. Label file with your name. Watch this video to understand Pollock better. 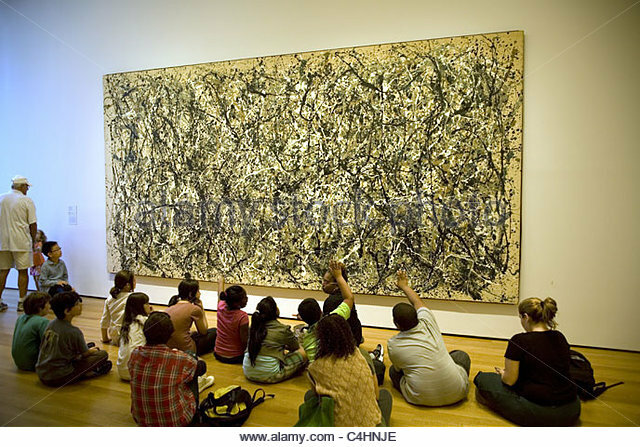 Jackson Pollock, Number 1, 1950, MoMA with school children. This will be posted once I get the information from student life. Write 1-2 pages in which specific evidence of having viewed the lectures and weblinks. Include clear definitions of each: Surrealism, New York School (or Abstract Expressionism), Jackson Pollock and Mark Rothco. This should indicate your understanding. Use information provided. No dictionary or encyclopedia. No Wiki sites. Write in your own words. No quotes and no copying. Reading for this week and all subsequent weeks are listed on the course outline. The are in our book. This week is Page 7-middle of 43. ​This link above discusses important social context for Pop. Read this page before doing your object analysis. You can use this instruction for all subsequent weekly papers. 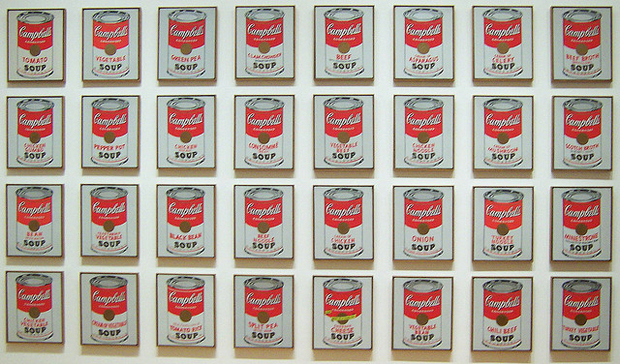 Watch this Khan Academy video on Warhol. Watch this video on Rauschenberg's, Bed. See instructions to the left under the image of Campbell's Soup Can. Choose one artwork from this lesson to describe, and discuss (It cannot be Canyon). The piece of art should be from the book, lecture or links I've given you. Use these sources to discuss the points listed in the grading rubric. Use the rubric below to see how your analysis will be evaluated. Even though you are discussing a specific work, use it to tell more about the time period, style, artist, etc. You are basically using the art to tell what you know about Pop. I’m looking for evidence you did the reading, looked at the lecture and checked out links. Here is your grading rubric. Note: the link to the first analysis paper is posted below. Paper is not due for two weeks but I've given it to you to begin as the first of the two artworks was in the lecture last week and the second is this week. Due October 6, Saturday, noon. I have posted it so you can begin working on this longer paper. These are worth more percentage points so please take time and edit carefully. Please note: You have a weekly paper due on Saturday for Minimalism. See instructions in the next column. Students: view lecture, watch all videos and take notes. Link to all buttons and take notes. These links below give some additional information about this important and varied movement. (above) Richard Serra's large scale steel sculptures. Notice how people are walking into and around them. Watch this video on Maya Lin's, Vietnam Veteran Memorial design. ​You are not allowed to write about this piece because it is in your Longer Analysis Paper. Please note: your first longer analysis paper is due this week. No weekly paper due on the lecture but there are points to make concerning the topic for your analysis paper. So, please read and watch. Paper is due this week. I don't have an introduction video this week. Please read the information on this page for this week. see lecture below. Note: there is information pertinent to the Analysis Paper due Saturday. No weekly paper due this week. For extra credit and/or replacement of another paper you can do an Object Based Analysis of one of the works studied this week. Send by Saturday as usual. Longer Analysis Paper due Saturday. See instructions to the left. click the link below to take a virtual tour. Short video on Smithson's Spiral Jetty. 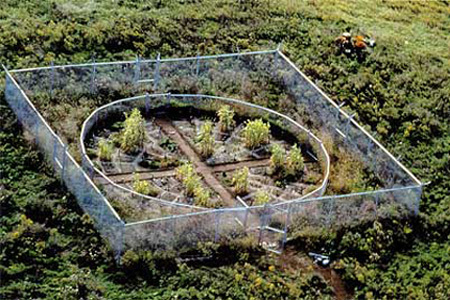 Watch the video above about some of the artists involved in the Land Art movement. Marina Abromovich-- link to more about her. Remember: blue text is a link. Choose one artwork from this lesson to describe, and discuss. It cannot be The Dinner Party. The piece of art should be from the book, lecture or links I've given you. Use these sources to discuss the points listed below and find museum website or other legitimate sources. Use the rubric below to see how your analysis will be evaluated. Even though you are discussing a specific work, use it to tell more about the time period, style, artist, etc. 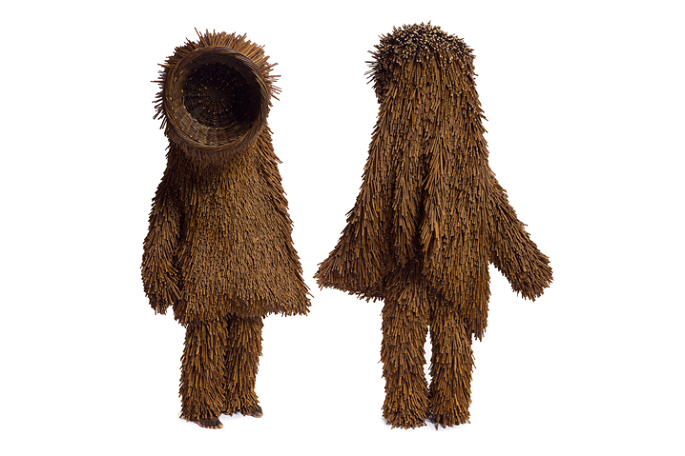 You are basically using the art to tell what you know about either Land Art or Feminist Art. I’m looking for evidence you did the reading, looked at the lecture and checked out links. 2 pages minimum. ​Use the same rubric we've been using. Here is your next Analysis Paper. In this one you will choose two of three images I've given you to discuss. I am posting it now because the first image is from last class. The second is from this class and the third is from next. Use the lectures as context. Watch this video for important information. Watch this video on Maya Lin by clicking on this link about 'Wave Field' that is installed at Storm King Art Park, about 30 minutes north of Sparkill. My sister and I went last Fall. It was really fun. 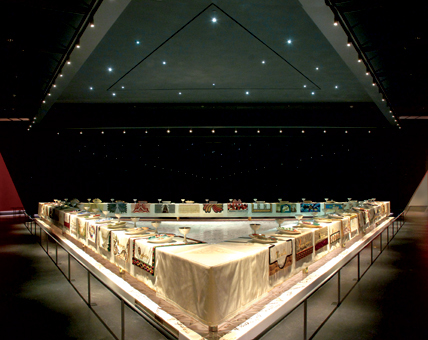 A montage of works by Christo and Jeanne Claude. Choose one artwork from this lesson to describe, and discuss. The piece of art should be from the book, lecture or links I've given you. Use these sources to discuss the points listed below and find museum website or other legitimate sources. Use the same rubric to see how your analysis will be evaluated. Even though you are discussing a specific work, use it to tell more about the time period, style, artist, etc. You are basically using the art to tell what you know about either Public Art or Postmodern Painting. I’m looking for evidence you did the reading, looked at the lecture and checked out links. 2 pages minimum. 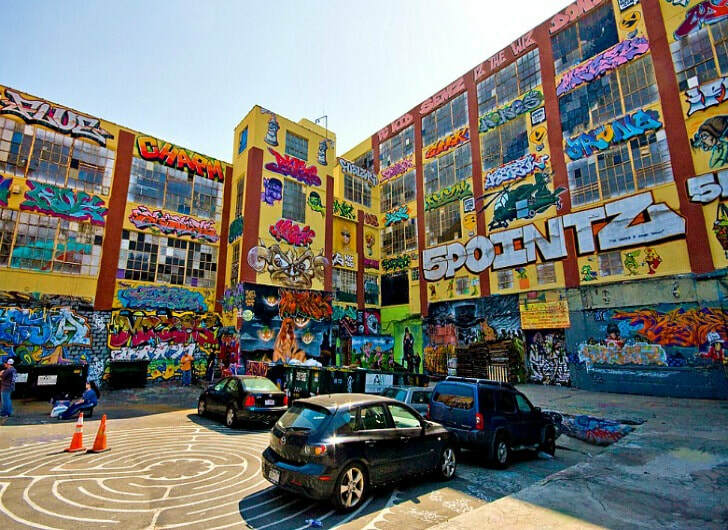 Watch the video attached here to see the work that used to be at 5Pointz, Long Island City, NY. The comment by Fredrick Jameson we read last week that "aesthetic and commodity production had become indistinguishable," influenced many artists as they did not want their work to be considered part of the capitalist enterprise-- as merely another commodity. Artists this week continue to try to make art more relevant by bringing art outside the gallery and museum and into the streets and communities. 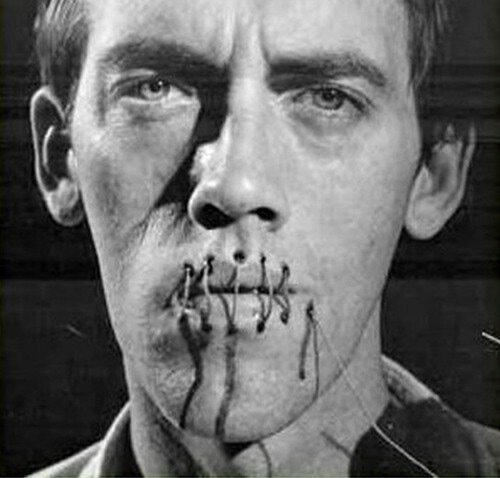 We also see how the AIDS epidemic changed the conversation about art as many artists were directly affected. Click this link to read more about this ad campaign "Kissing Doesn't Kill." Watch this video on Tim Rollins and KOS. It's part of a 7 part video. The link below if another part. part 1. Click on the links below to learn more about arts and gay activism in NYC. Object Based Analysis -- Graffiti or AIDS related art. Choose one artwork from this lesson to describe, and discuss. The piece of art should be from the book, lecture or links I've given you. Use these sources to discuss the points listed below and find museum website or other legitimate sources. Use the same rubric to see how your analysis will be evaluated. Even though you are discussing a specific work, use it to tell more about the time period, style, artist, etc. You are basically using the art to tell what you know about either graffiti or a piece or project related to AIDS. 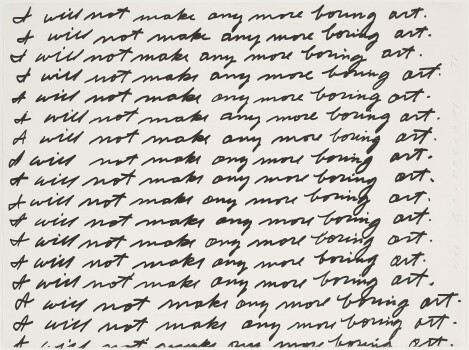 You cannot write about Keith Haring, Untitled 1982. This one is on your Analysis Paper. I’m looking for evidence you did the reading, looked at the lecture and checked out links. 2 pages minimum. 1 1/2 line space please. This is a super important lesson on Identity and believability of the photographic image. Since the longer Analysis paper is due this weekend, I am not assigning a paper on this lesson until next week. Please take a look and read carefully the information on Identity Politics. It's important for Art and pretty much everything else. It will also greatly help with your paper when identifying what the earlier artwork will influence. ​​No weekly paper this week. 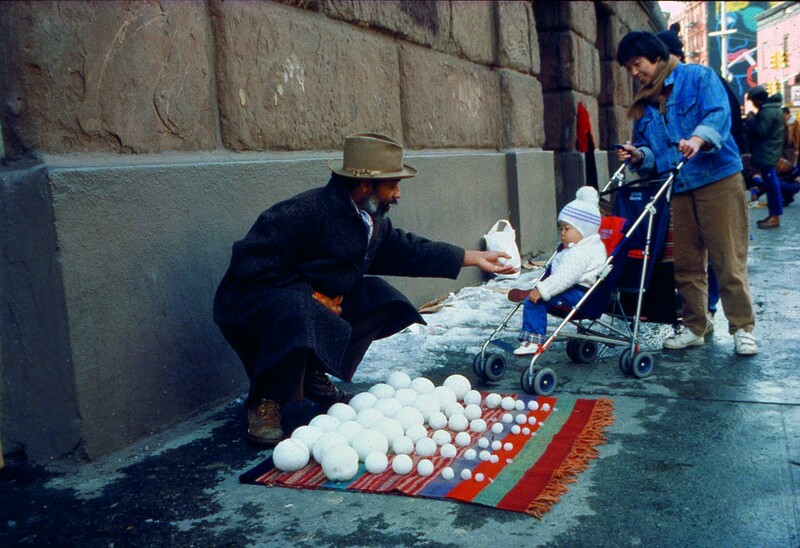 David Hammons selling snowballs on the street of various sizes--different prices for different sizes. Comments on the absurdity and arbitrary nature of commodity. As mentioned in an earlier email, on the syllabus, as part of the requirement for this class, you were to do 2 different 'object based analysis' of artwork seen in real life in a museum of art gallery in New York or other local valid site like Storm King or Dia Beacon. However, I've changed this requirement to an elective assignment. You many choose to do the two museum analysis as extra credit. The artworks can be any form (painting, sculpture, video, installation) we have discussed in this class and from the time period covered here. Use the same criteria for your weekly 'object based analysis' for each. If you have questions, see the grading rubric for all Object Based analysis. You must take a picture of the work so I can see you were really there showing artwork on one side or the other. Last thing--- write something about your experience of actually seeing the work. The actual experience of much of the work we've discussed is significantly different than writing about things you've only seen in books or on line. ​lecture this week: please note I have moved the artists around a bit from the book. I did this because organizing them this way, makes more sense to me. Hope it makes more sense to you as well. Also, note my comment on the last slide as to some thinking you may do in addition to writing about the artists. I did not include information in this lecture on Krzysztof Wodiczko. Click on the link to Art 21 or cut and paste. Choose one artwork from this lesson or the one from last week on "Identity" or this one on "Installation" to describe, and discuss. The piece of art should be from the book, lecture or links I've given you. Use these sources to discuss the points provided on the rubric and find museum website or other legitimate sources. Use the same rubric to see how your analysis will be evaluated. Even though you are discussing a specific work, use it to tell more about the time period, style, artist, etc. You are basically using the art to tell what you know about Identity in either lecture this week or last. I’m looking for evidence you did the reading, looked at the lecture and checked out links. 2 pages minimum. 1 1/2 line spacing. Due Saturday, December 8 noon. As we move through this class I hope you are seeing how the art being made is responding to market concerns, cultural realities, art historic precedents as well as individual interests. This continues as the Modernist tendency for 'movements' gives way to an expanded field where it becomes more difficult to label artists into groups. 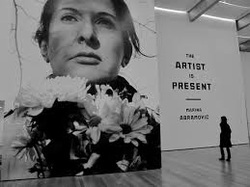 This week we look at another group of artists who are being affected by new technologies, (photo, video), and a continuation of Duchamp's questions of 'who is the artist and what constitutes art'? Also, because there are a number of video artists this week, I've given you fewer artists but really want to see evidence of watching the videos in your papers. 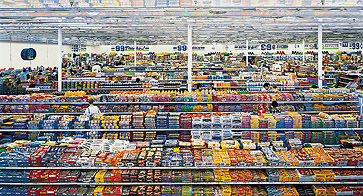 Choose one artwork from this lesson on global or video and describe, and discuss. The piece of art should be from the book, lecture or links I've given you. Use these sources to discuss the points provided on the rubric and find museum website or other legitimate sources. Use the same rubric to see how your analysis will be evaluated. Even though you are discussing a specific work, use it to tell more about the time period, style, artist, etc. You are basically using the art to tell what you know about Identity in either lecture this week or last. I’m looking for evidence you did the reading, looked at the lecture and checked out links. 2 pages minimum. 1 1/2 line spacing. Here's my Thanksgiving wish for you. ​Two different versions of the same thought. 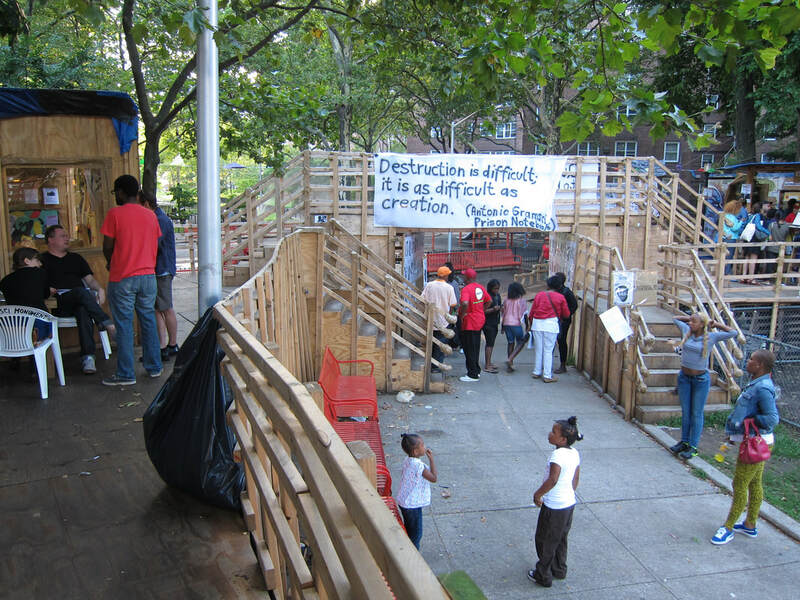 Thomas Hirshhorn, above and the Gramsci monument below. Click link above for information about this important project. Make sure you mention the artists within the levels of viewer participation as set forth by Helgera, as well as discussing the work. In your weekly paper, note the links and videos you visited. Use the same criteria for your weekly 'object based analysis' for each. If you have questions, see instructions to the right. You must take a picture of the work so I can see you were really there. Watch this trailer about Project Row Houses. You don't need to discuss all these artists for your weekly paper. However, you may want to look at them for your third longer Analysis paper. All artists names in blue are links. 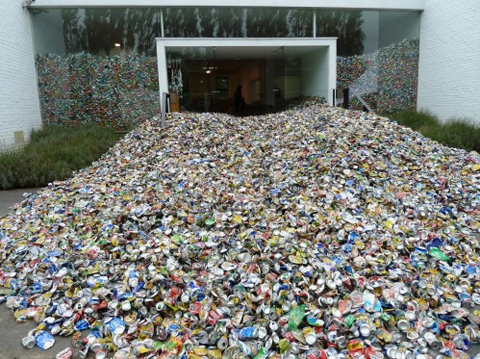 Choose one artwork from this lesson on Social Practice Art and describe, and discuss. The piece of art should be from the book, lecture or links I've given you. Use these sources to discuss the points provided on the rubric and find museum website or other legitimate sources. Use the same rubric to see how your analysis will be evaluated. Even though you are discussing a specific work, use it to tell more about the time period, style, artist, etc. You are basically using the art to tell what you know about Identity in either lecture this week or last. I’m looking for evidence you did the reading, looked at the lecture and checked out links. 2 pages minimum. 1 1/2 line spacing. here we are, last Lecture. Please view both for the whole picture. General page-- click on different text for info on the project, the artist etc. ​No Weekly Paper due this week because your Final Analysis paper is due. Cai Guo-Qiang-- If you have been to my office you will see a poster for an exhibit by Cai Guo-Qiang. As mentioned in an earlier email, on the syllabus, as part of the requirement for this class, you were to do 2 different 'object based analysis' of artwork seen in real life in a museum of art gallery in Manhattan or other local valid site like Storm King or Dia Beacon. However, I've changed this requirement to an elective assignment. See instructions in earlier week. 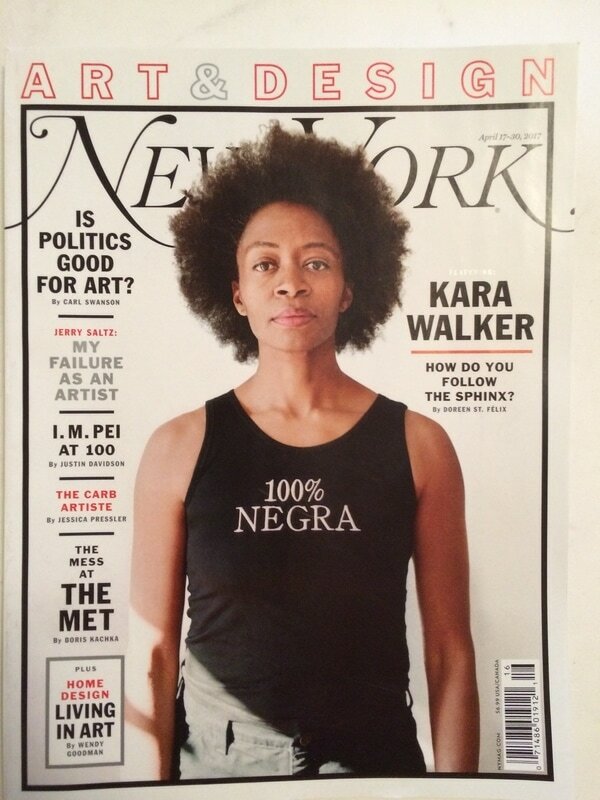 Kara Walker --I added this link because last year when I taught the course, Walker was on the cover of New York Magazine. Use this link for more. Choose one artwork from the lesson for last week. Same as usual, describe, and discuss. The piece of art should be from the book, lecture or links I've given you. Use these sources to discuss the points provided on the rubric and find museum website or other legitimate sources. Use the same rubric to see how your analysis will be evaluated. Even though you are discussing a specific work, use it to tell more about the time period, style, artist, etc. 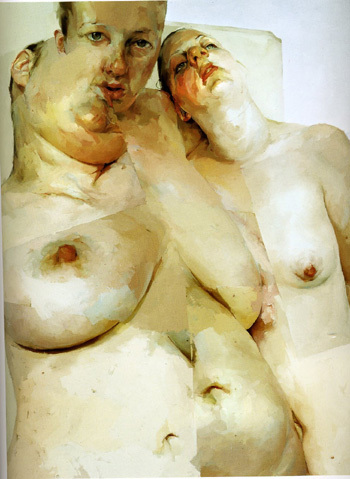 You are basically using the art to tell what you know about Identity in either lecture this week or last. I’m looking for evidence you did the reading, looked at the lecture and checked out links. 2 pages minimum. 1 1/2 line spacing. All work must be completed and submitted by Friday, to be considered for grading.